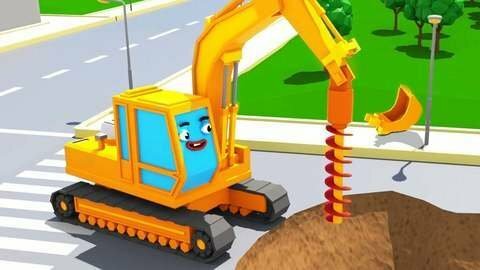 In this non-stop car cartoon for toddlers a bad excavator throws watermelons and bowling balls. A police car chases the excavator to avoid mew incidents. He tries to escape throwing more balls but falls down a hole on the road. Learn your kids what is good and what is bad by visiting SeeZisKids.com where you can find dozens of free car cartoon videos for boys.